The definition for Lapis - "deep blue, semi-precious stone that has been prized since antiquity for its intense color." Gladly, Parker has brought the Lapis rich color back in their line-up with their newest run of the classic Duofold pens. The Duofold pen was first introduced in 1921 with the deep blue color following in 1927. Other popular colors of the time has been brought back. The ivory (originally called Ivorine) and the most popular historic Big Red (more of a scarlet tanger or "Chinese" red) are now available. I find the ballpoints in this series the most distinctive. Unlike most most ballpoint pens, the design offers a flat top with a twist style that extends and retracts easily. Providing the ease of writing and the perfectly weighted alignment, this pen promises to be well worth the investment. The gold plated fluted top and features provide a unique look that will eliminate the worry of someone mistakenly thinking the pen belongs to them. Another plus is the abundant availability of finding the ever-reliable Parker ballpoint refill. If you decide to be a little more expressive, you do have the option of purchasing a Monteverde gel refill made to fit in Parker ballpoint pens, available in a multitude of colors. 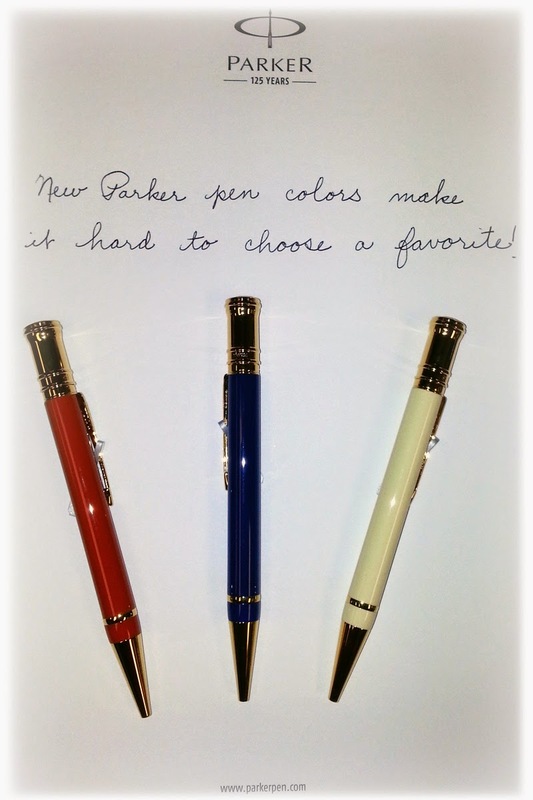 Thank you Parker for bringing back a vintage classic into present day. !